Gospel music is music that is written to express either personal, spiritual or a communal belief regarding Christian life, as well as (in terms of the varying music styles) to give a Christian alternative to mainstream secular music. Like other forms of Christian music, the creation, performance, significance, and even the definition of gospel music varies according to culture and social context. Gospel music is composed and performed for many purposes, including aesthetic pleasure, religious or ceremonial purposes, and as an entertainment product for the marketplace. However, a theme of gospel music is praise, worship or thanks to God, Christ, or the Holy Spirit. From the smooth sounds of Sam Cooke to the dancing, acrobatic vocals of Kirk Franklin, gospel music does more than just sound sweet--it literally moves its listeners. Whether it's swaying with the choirs or tappin' along with the quartets or simply raising hands to the rhythm of soul-stirring crooners, gospel is one genre of music that needs to be both seen and heard. Once narrowly defined as religious, gospel has transcended those limits to become a profound force in American music and popular culture. Fueled by major recording companies, it has leaped over its traditional religious walls and is now more than just church music. Last year's phenomenon of Kirk Franklin's Why We Sing (it went platinum) and the current success of William Becton's Be Encouraged (a mainstay on Billboard's gospel chart for 28 weeks and counting at press time) attest to gospel's growing popularity. According to materials received from Gospel Today magazine, within the last five years, seven major recording companies have created and staffed gospel divisions; independent gospel labels increased 50 percent, and total revenues for gospel music have nearly tripled in the past decade-from $180 million in 1980 to $500 million in 1990. 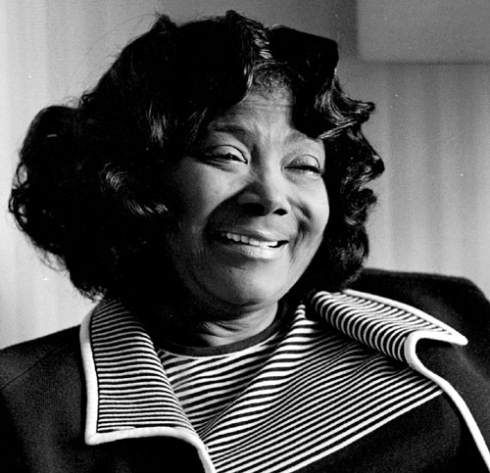 Mahalia Jackson. Many consider Mahalia Jackson to be the greatest gospel singer of all time. Her name is associated with the popular gospel song, "Take My Hand, Precious Lord," by Thomas A. Dorsey, who is a beloved songwriter.. The Jordanaires. The Jordanaires backed up Elvis Presley onstage. Yet they also sang by themselves. They were the quintessential gospel quartet. Shirley Caesar. Shirley Caesar was a great shouter. If you want to hear a woman dig down deep into a gospel song, Caesar is your go-to-gal. Andraé Crouch. Andrae Crouch is unique, in that he bridges the old school black gospel with contemporary Christian music. He was there at the beginning of contemporary Christian music, where he mixed both the old and the new together beautifully. He's even won an Oscar for the film "The Color Purple." Thomas A. Dorsey. Thomas A. Dorsey wrote, perhaps, the greatest gospel song of all time, "Take My Hand, Precious Lord." Aretha Franklin. Before she was a legendary soul singer, Aretha Franklin grew up singing gospel in her father's church. Elvis Presley. Did you know that Elvis Presley's only Grammy Awards were for gospel recordings? His three wins were for gospel recordings, the albums "How Great Thou Art" (1967), the album "He Touched Me" (1972) and his live Memphis concert recording of the song "How Great Thou Art" (1974)." Mighty Clouds of Joy. 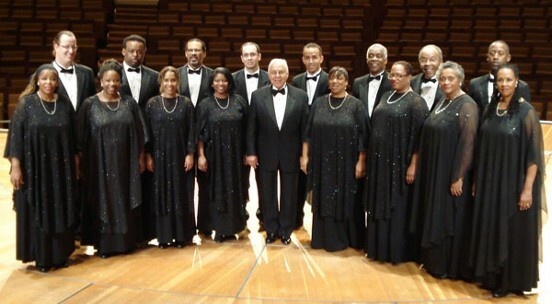 The Mighty Clouds of Joy represent the very best of the great black gospel groups. Blind Willie Johnson. Led Zeppelin may have had a rock hit with "Nobody's Fault But Mine," but this gospel blues singer wrote it. Sister Rosetta Tharpe. Sister Rosetta Tharpe is said to be an early influence of Elvis, though she never attained pop stardom. If you want to raise your spirits, try listening to the songs of the 10 best female gospel singers. These voices will transport you to a higher place and provide a soundtrack for your soul.Mahalia Jackson. Born in New Orleans in 1911, Mahalia Jackson began singing in the church choir when she was only four years old. Her stunningly powerful contralto voice led to her being called gospel's greatest singer. In 1954, she hosted the first nationally broadcast gospel radio show and scored a top 40 hit with "Rusty Old Halo." She died in 1972. CeCe Winans. Coming from the one of gospel music's most famous families, CeCe Winans was born to sing. She teamed up with her brother BeBe Winans to earn gospel platinum and gold, as well as two number one hits on the R&B charts. She continues to record as a successful solo artist, releasing a best of album entitled "For Always" in 2010. Shirley Caesar. Grammy Award winner Shirley Caesar has performed for presidents and in multiple Broadway shows, in addition to her recording and concert schedule. She is a minister and seeks to combine a message of hope in her music. Her first Grammy was for the 1971 single "Put Your Hand in the Hand of the Man from Galilee." Aretha Franklin. This queen of soul has never strayed far from her gospel roots. Her album "Amazing Grace" was one of the most successful gospel-pop crossover albums of all time. Dottie Rambo. This singer-songwriter was the first to fight the segregation in gospel music by using African-American backup singers. She recorded the song "Stand by the River" as a duet with Dolly Parton. In addition to her own career as a singer, her songs were recorded by Elvis Presley and Whitney Houston. Sandi Patty. 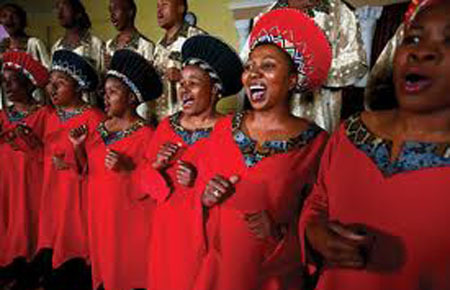 Combining contemporary Christian music and traditional gospel tunes. The first of her over 30 Dove Awards came from the 1982 album "Lift Up the Lord". She also won multiple Grammys. In 1988, at the height of her popularity, she sang at the Republican National Convention. Della Reese. Probably best known for her television and film work, Della Reese began her showbiz career at the tender age of fourteen, when she became part of the touring choir for Mahalia Jackson. One of her earliest albums was titled simply "Amen!" 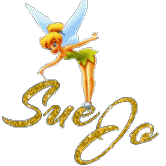 She founded a women's gospel group at her university and was the first woman to guest host "The Tonight Show with Johnny Carson." Yolanda Adams. Though her entry into the gospel music industry was controversial due to her combining secular and Christian themes, she ultimately found success and was accepted. Her 1999 album "Mountain High...Valley Low" was named as one of the best gospel albums of the decade. She has been inducted into the International Gospel Hall of Fame. Tramaine Hawkins. No one in gospel had a more prestigious start than Tramaine Hawkins. Her first recording was as part of the Edwin Hawkins Singers "Oh Happy Day", which is among the biggest selling gospel singles of all time. Her solo career has her merging gospel with soul and funk. Dottie Peoples. She began her career in 1991, and went on to become one of the most honored gospel artists of the 1990's. Dottie Peoples has won numerous Stellar Awards, including Song of the Year and Album of the Year for her 1995 album "On Time God."